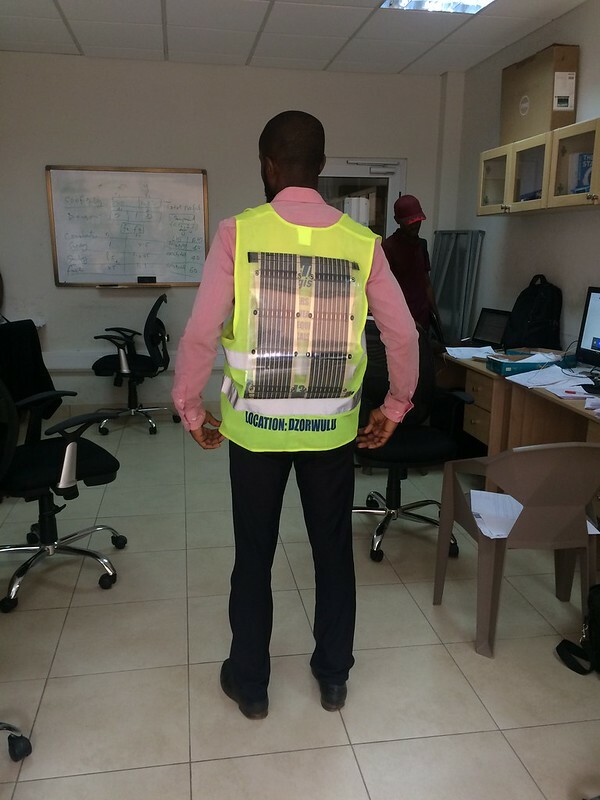 The organic solar vest is a vest layered with organic photovoltaic cells designed to trap solar energy which would be capable of storing energy for powering mobile devices. The first prototype of this vest is being built by Nicholas Tali, Engineering Lab Coordinator with the support of Pearl Gemegah ’19 and the coordinators of the D:Lab. Posted in Organic Solar, ProjectsTagged Innovation, Product Design, Solar Power, Wearable TechnologyBookmark the permalink.